She promises to write before the end of August soon. If you would be kind enough to check back later (おかえていただけませんか), she would greatly appreciate it. 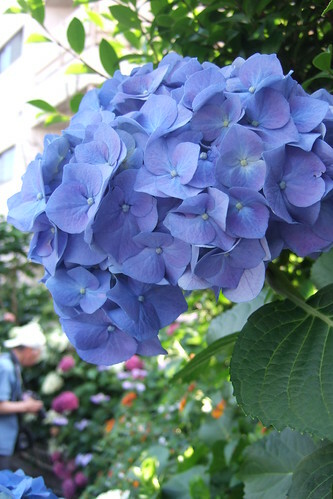 Here’s a photo of a hydrangea (taken June 2008 in Tokyo). I want one of these blue ones for my garden next year.